If your love is too grand to be contained by pesky obstacles, like walls, we're the perfect venue for you! Nestled on a bend in the Little Sandy River, beneath the trees, we are what scenic destination wedding dreams are made of. We also understand your wedding isn't isolated to a ceremony or reception, alone. That's why we do it all! 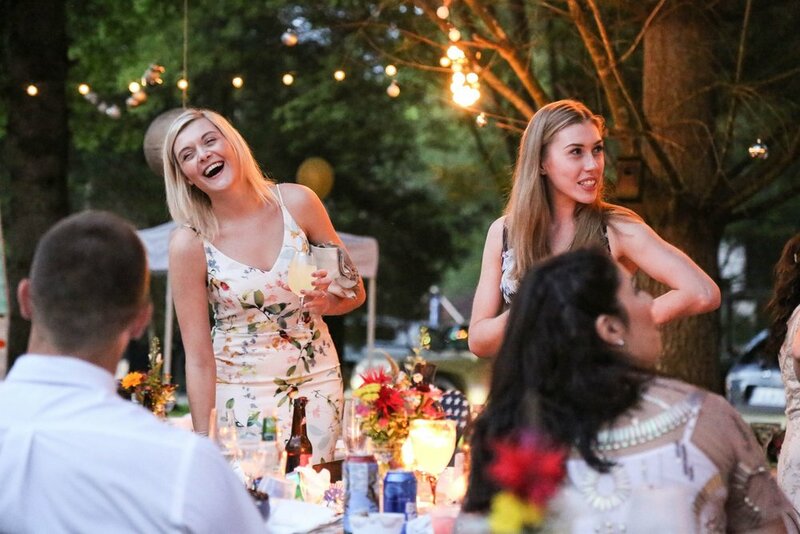 When you reserve DOA as your wedding venue, you not only get the grounds for your ceremony, but also, the on-site cabin in the trees, pavilion, and access to private catering, shuttling, and additional accommodations for guests on-site. You bring the decorations and guests, we'll supply the rest. 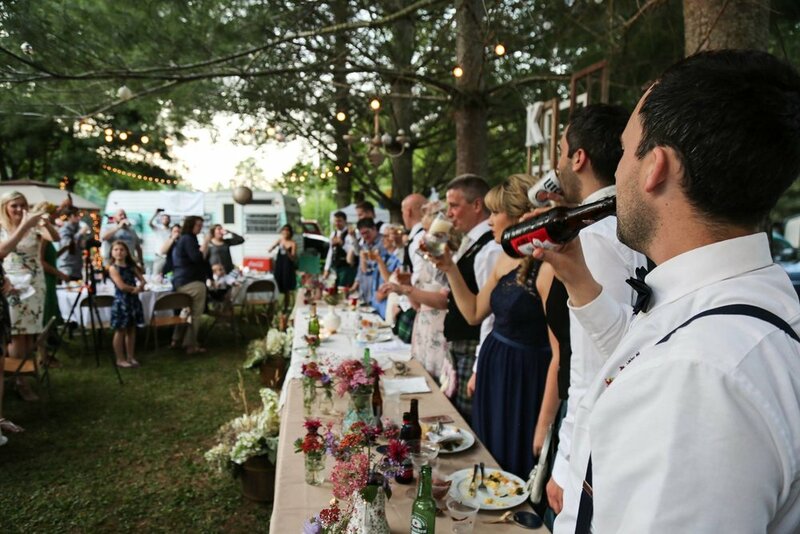 Let us help you plan the outdoor wedding of your dreams today! Includes 2 Night/3 Day Rental of Cabin, Pavilion, and Grounds, as well as Restroom Facilities for Guests. Guests are given the option of Chicken, Pulled Pork, or a Vegetarian Dish, with 2 Sides, and Bread. Includes 2 Buffet-Style Servers. Guests are given the option of Chicken, Steak, or a Vegetarian Dish, with 2 Sides, and Bread. Includes 2 Buffet-Style Servers. Whether you have your own linens or would like to B.Y.O.B, we still offer additional services on an individual basis. Below you will find the cost of each service we offer.